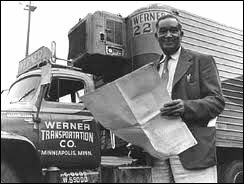 Fred McKinley Jones is certainly one of the most significant Black inventors ever, based on the sheer number of inventions he developed as well as their variety. Fred Jones was born on May 17, 1893 in Covington, Kentucky. His father was a white railroad employee of Irish ancestry and his mother was Black. It is believed that his mother passed away while he was young and Fred was raised by his father. When Fred was 8 years old, his father transported him to Cincinnati, Ohio where they stopped at St. Mary’s Catholic Church rectory. Fred’s dad prompted Father Edward A. Ryan to take Fred in order to place him in a setting in which he might have a far better opportunity for attaining an education. Fred carried out chores around the church in return for being fed and housed, cutting the lawn, shoveling snow, scrubbing floors and learning to prepare food. At an early age, Fred exhibited a great interest in mechanical working, whether taking apart a plaything, a watch or a kitchen appliance. In time he grew to be interested in cars, so much so that upon turning twelve years of age, he ran away from home at the rectory and started working at the R.C. Crothers Garage. Initially employed to sweep and clean the garage, Fred devoted much of his time watching the mechanics as they worked on cars. His observation, along with a insatiable passion for learning through reading developed within Fred an incredible foundation of knowledge about motor vehicles and their inner workings. Within three years, Fred had become the foreman of the garage. The garage was mainly designed to fix cars brought in by customers but also served as a studio for constructing racing cars. After a few years of building these cars, Fred desired to drive them and soon turned out to be one of the most well known racers in the Great Lakes area. After short stints working on board a steamship and a hotel, Jones moved to Hallock, Minnesota and began designing and constructing race cars which he drove on nearby tracks and at county fairs. His preferred car was known as Number 15 and it was so well designed it not only beat other cars, but once triumphed in a race against an airplane. On August 1, 1918 Jones enlisted in the 809 Pioneer Infantry of the United States Army and served in France during World War I. While serving, Jones employed German prisoners of war and rewired his camp for electrical power, phone and telegraph services. After being discharged by the Army, Fred came back to Hallock in 1919. Looking for work, he frequently assisted local physicians by driving them around for house calls during the winter season. When navigation through the snowfall proved challenging, Fred attached skis to the undercarriage of an old airplane body and fastened an airplane propeller to a motor and soon whisked around town a high speeds in his new snow machine. Over the next few years Fred started tinkering with almost everything he could find, creating things he could not obtain and improving upon those he could. When one of the physicians he worked for on occasion complained that he wished he did not have to wait for patients to come into his office for x-ray exams, Jones created a portable x-ray device that could be taken to the patient. Unfortunately, like many of his early inventions, Jones never thought to apply for a patent for the machine and watched helplessly as some other men made fortunes off of their own versions of the device. Undaunted, Jones set out for some other projects, including a radio transmitter, personal radio units and eventually motion picture devices. In 1927, Jones was faced with the problem of helping to convert a silent movie theater into a “talkie” movie theater. Not only did he transform scrap metal into the components necessary to deliver a soundtrack to the video, he also developed ways to stabilize and improve the picture quality. When Joe Numero, the head of Ultraphone Sound Systems heard about Fred’s gadgets, he invited Fred to come to Minneapolis for a job interview. After taking a position with the company, Fred began improving on many of the existing devices the company offered. Many of his improvements were so substantial, representatives from A.T. & T and RCA sat down to talk with Fred and were amazed at the depth of his understanding on complex details, particularly in light of his minimal educational history. Around this time, Fred came up with a new idea – an automatic ticket-dispensing device to be used at movie theaters. Fred applied for and obtained a patent for this system in June of 1939 and the patent rights were later sold to RCA. In addition to installing the Thermo King refrigeration systems in trucks and tractor-trailers, Jones altered the original design so they could be outfitted for locomotives, watercraft and ships. During World War II, the Department of Defense identified a great need refrigeration units for disbursing food and blood plasma to troops in the field. The Department called upon Thermo King for a solution. Fred altered his device and soon had developed a prototype which would ultimately allow airplanes to parachute these units down behind enemy lines to the waiting troops. For the next 20 years, Fred Jones produced improvements to existing devices and created new inventions when necessary to aid the public. 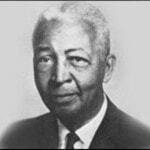 Jones died on February 21, 1961 and was posthumously presented the National Medal of Technology, one of the greatest awards an inventor could be given. Jones was the first Black inventor to receive such an honor and was a Great Black Hero.